I climbed the firetower in the heat of summer at Hobcaw to make small paintings en plein air for several days. 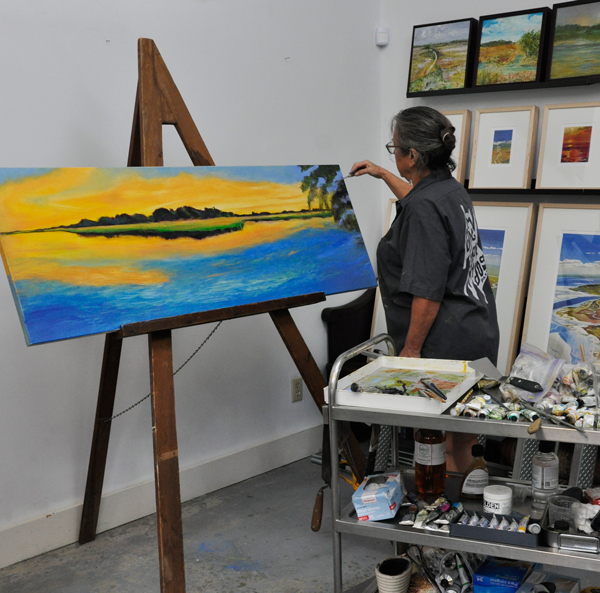 Inspired, I returned to the studio with digital panoramic photographs and produced two large 20″ x 60″ oils on canvas. Email or give a call to come by the studio to see the new work.